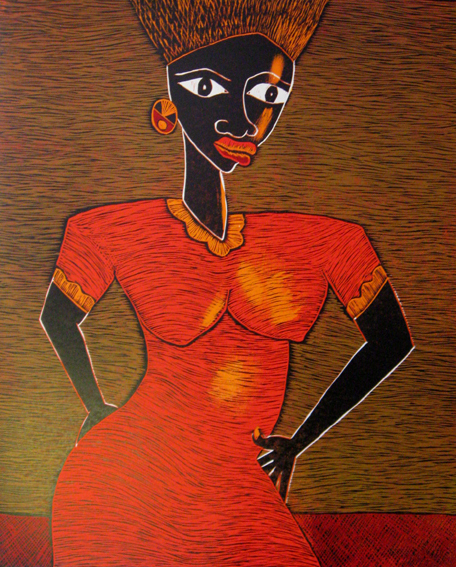 Ezequiel is a self taught artist from Mozambique who got his inspiration as a child from older boys who did woodcarving and fabric design in the neighbourhood. He learnt the basics of art at school but was forced to abandon these studies in order to find work to support his family. Later in life he got the opportunity to study fine art at the Nucleo de Arte in Maputo where he developed his skills in woodcut printing. The high degree of quality and professionalism in his work is testament to his talent and dedication to art. Ezequiel's work has been exhibited in a number of galleries worldwide, including several exhibitions in New York and Chicago.